(a) H.C.F. of two consecutive numbers be 1. (b) H.C.F. of two consecutive even numbers be 2. (c) H.C.F. of two consecutive odd numbers be 1. 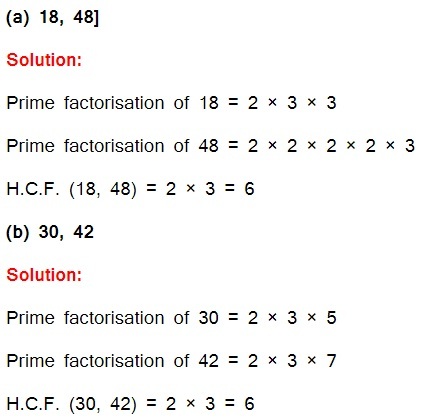 15 = 3 × 5 since there is no common prime factor, so H.C.F. 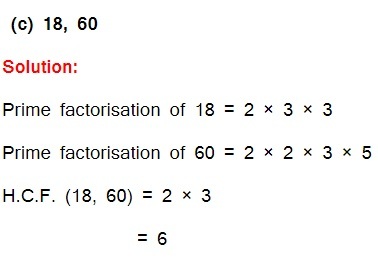 of 4 and 15 is 0. Is the answer correct? If not, what is the correct H.C.F.? Solution: No. The correct H.C.F. is 1.